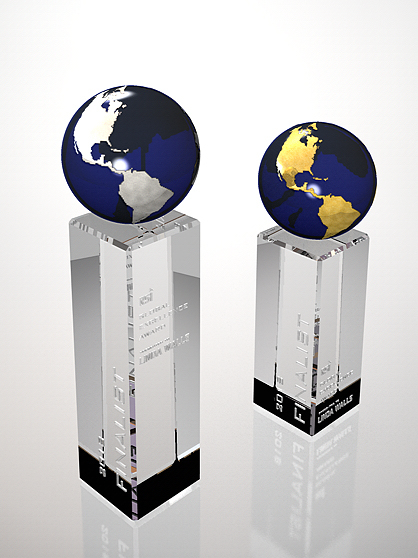 Our new Global Edge award represents thinking outside the box while making global impact. The globe is available in global or platinum color of continents. Globe continents are either gold or platinum color. Thus the award allows for multiple levels of recognition. Select Size Small 7" Medium 9" Large 11"